In the past I’ve told you about my favourite travelling bags of all time– the EVOC line (available from WeArePassion.com). We have a serious love affair and I would never trade them for anything, but my packing organization doesn’t end with just the EVOC bag. Inside, I have my goods sorted into ‘packing cubes’ made by Heys Canada (undies and socks in one, pants and skirts, jammies, accessories etc. ), rolled for easy identification. When I reach my destination, I simply unpack the cubes into drawers … and voila, organized genius! Keeping organized on the road means that I can easily identify the laundry (use a pillow case!) and I’ll know which stuff belongs to which kid. 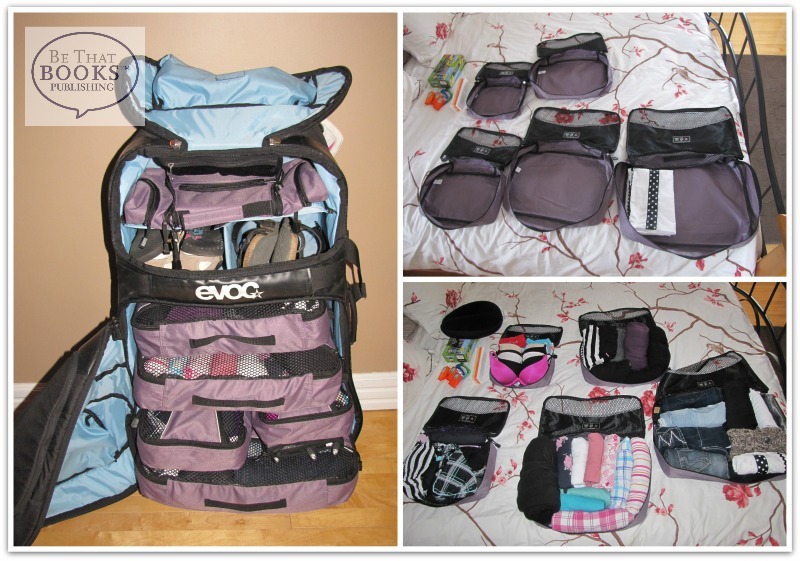 My favourite EVOC bag, the World Traveller, with my favourite packing cubes by Ecotex. The kids cubes are fantastic! You will need two sets to pack exclusively with the kids set, as they aren’t huge. If your children are ages 7/8 and up, they should just use a 5 piece set. 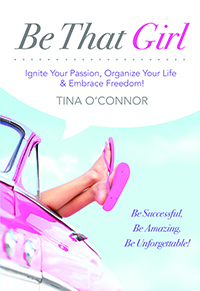 Maybe you’re like me and need to travel for business, for days at a time. 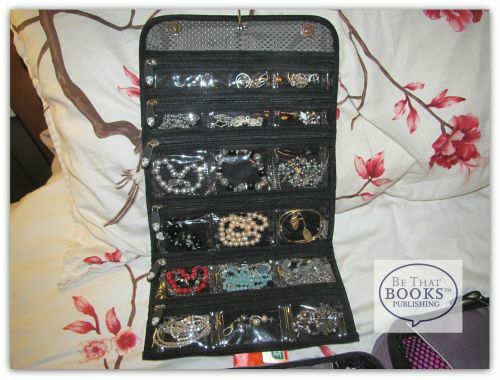 You’ll need ways to spruce up your limited attire, so I always use one of these jewellery organizers, to keep smaller items safe and stowed. And the cherry-on-top is that these packing cubes are environmentally friendly, made from 18 recycled water bottles. The 5 pack set is available in a wide variety of colours. One piece becomes two– for easy carry on! 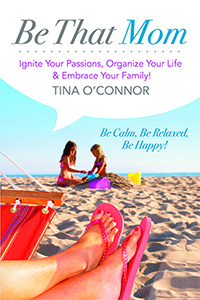 When travelling with kids, you’ll need to have something for them to do in the car or on the flight. To ‘Be That Mom’, be sure to have some granola bars and other light snacks on hand (beware of liquids! 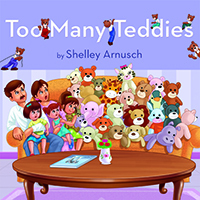 ), a journal for your child to doodle or write in, a video game system or tablet, and a few new toys for a fun surprise along the way. 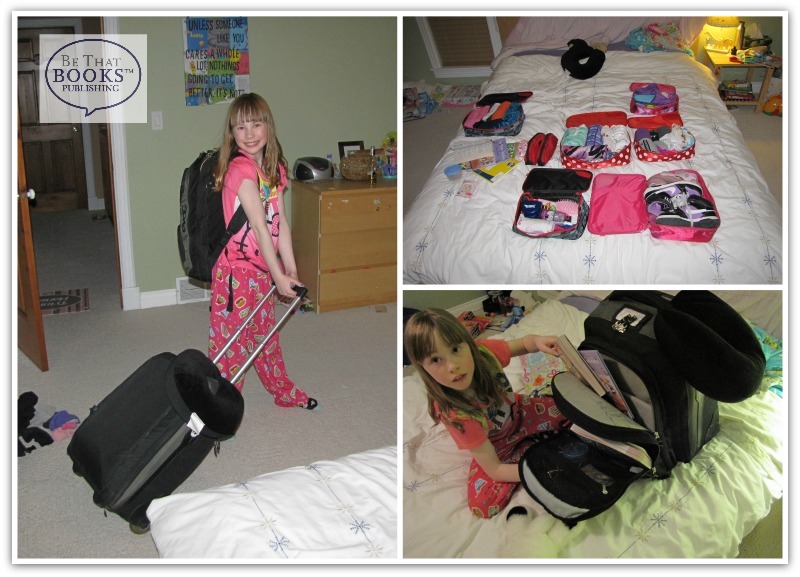 Travelling with children doesn’t need to be hard, but you do need to plan! 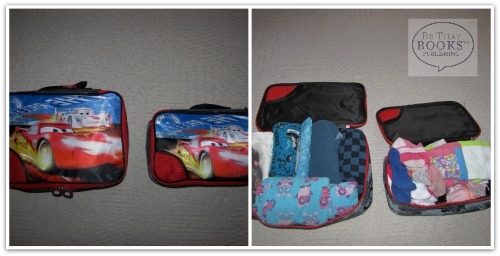 Store your carry-on items in one of the smaller packing cubes and keep in an accessible place. 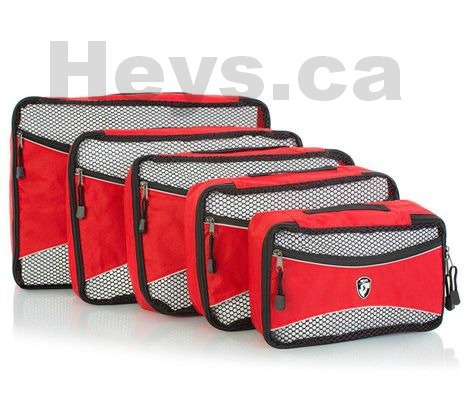 Heys Canada has graciously offered up a 5 Pack Set of ‘Packing Cubes’ to one lucky ‘Be That Books’ follower! This giveaway is open to residents of Canada, over the age of 18 only. Ends Friday, April 11th, 2014 at 12:01 am MST. Winner has 48 hours to respond by email or another winner will be chosen. Nice to read the email Alerts. I checked out the Heys website for colors. I never knew that they were made from recycled bottles! But to be honest, I never looked at luggage that way. What a great idea. I now want to purchase the packing cubes, but I will try my luck with the giveaway first. If I had a choice, I would pick Lilac. Bright, noticeable, but still subdued. Hope I win! The Lilac set would definitely be my first choice, followed closely by the Olive. They’re all fantastic! I would have a very hard time making a choice. They all look lovely. 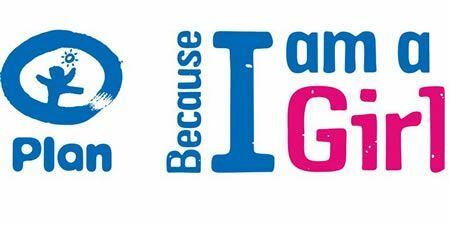 I will make my choice the day you notify me that I have won. I really need to get a couple sets of these. I used them last year and they made traveling SO simple! What a great way to pack, love it!! My first introduction to Heys packables was from a friend when I had a ‘special’ birthday. I love them! Having watched the interview on the news this a.m., my choice would be the cars one as a gift for one of my grandsons. Saw you on the news this morning! Great information! I may have been living under a rock but I have never heard about these until this morning! Thanks for the opportunity to win these cool cubes! These will make packing with my two year old sooooo much easier! I’d go with the lilac, but I like them so much that I’d be happy with any colour! If I win, I would choose the Fuschsia 5 piece set. Turquoise- the colour of the water of the exotic places I’d like to take these cubes. Packing efficiency actually gets me excited. Especially after the packing gong show of our last family trip. Hi Tina, If I would win this 5 piece packing cube set then I choose Black!